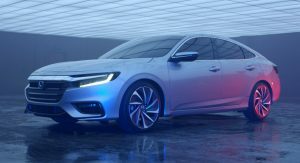 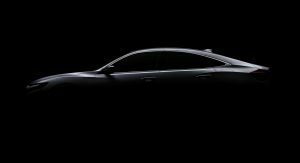 Following its world debut at the Detroit Auto Show, Honda brought the Insight Prototype over in Chicago to give us a second glimpse at the upcoming electrified model. 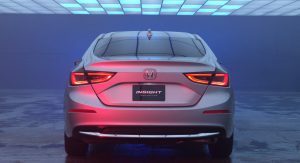 The production-ready Insight will launch nationwide later this year featuring a hybrid powertrain that combines a 1.5-liter Atkinson cycle engine paired to a powerful electric motor and a lithium-ion battery pack. 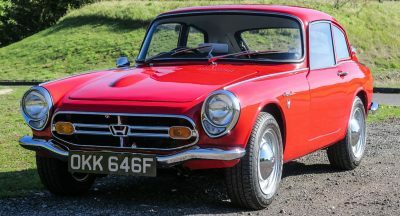 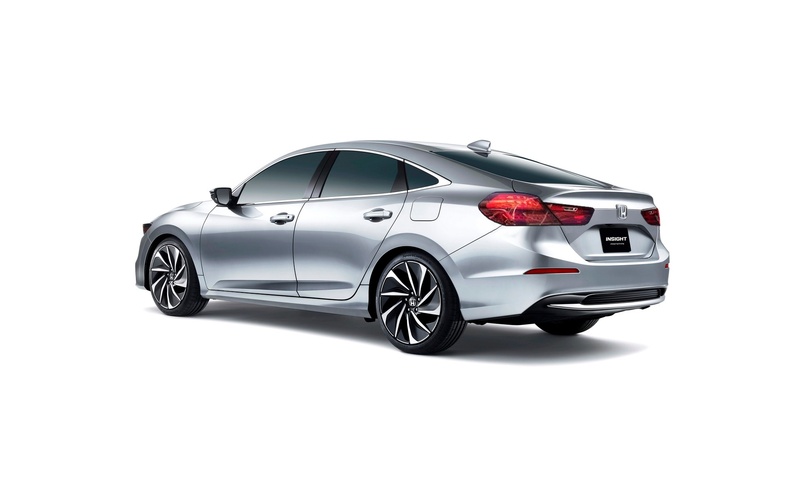 Honda opted for a sleek design this time, giving the new Insight a low and wide stance and a sweeping roofline. 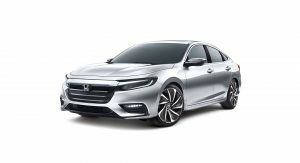 The front end is characterized by the company’s signature ‘flying wing’ grille and low-profile LED headlights. 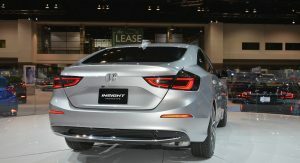 Honda says the new Insight will deliver class-leading power and expects an EPA rating of over 50mpg combined. 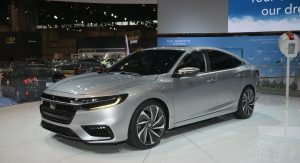 The new Insight will operate in most conditions on electric power only, drawing energy either from the battery or from the engine. 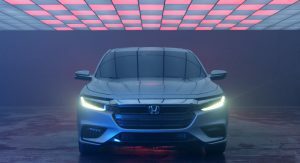 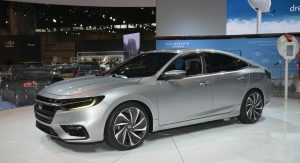 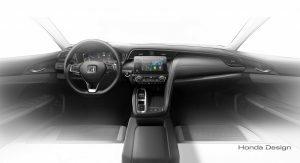 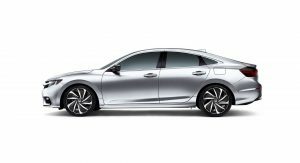 No further technical details are known at this point but Honda continued on saying that the new Insight will also offer class-leading passenger space and come equipped with an eight-inch infotainment system and a seven-inch digital LCD driver’s meter. 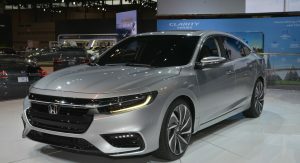 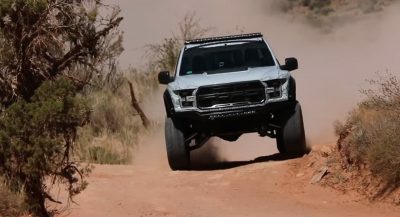 The infotainment system will feature Apple CarPlay and Android Auto connectivity, as well as WiFi-enabled over-the-air updates. 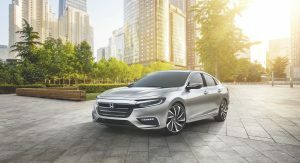 The new Honda Insight is also getting the company’s Sensing suite of active safety systems, which includes Collision Mitigation Braking, Lane Departure Warning, Road Departure Mitigation, Adaptive Cruise Control with Low Speed Follow and Traffic Sign Recognition. 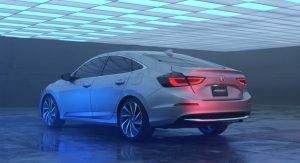 Honda is planning to position the new Insight as a premium compact above Civic in their lineup once it launches later this year. 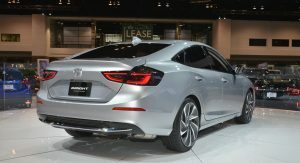 These are the taillights they should have used on the new Accord. 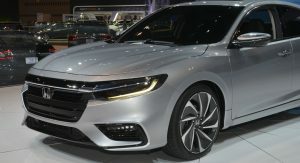 Dodge Charger front influence for sure, Hyundai rear with different lights. 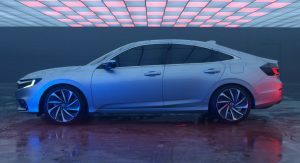 oh and add a bit of Saab 9-5 from the side. 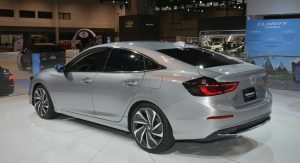 This freaking Honda is nice!! 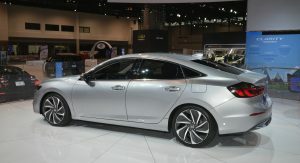 I’VE SEEN A COUPLE OF THE NEW ACCORDS AND THE GRILLE PUSHING DOWN INTO THE PUMPER DOESN’T LOOK VERY GOOD IN PERSON. 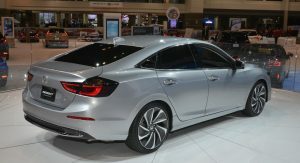 Give the facelifted accord this rear end Honda. 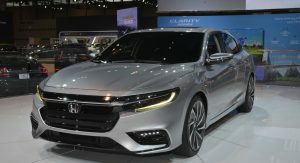 The front is pretty although that lower bumper design is being used in so many cars. 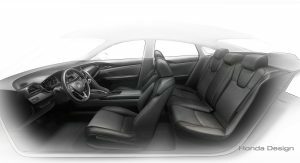 I really don’t understand why. 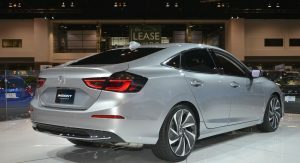 The rear looks weird. 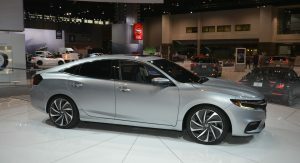 Now this is a hybrid that I could get into. 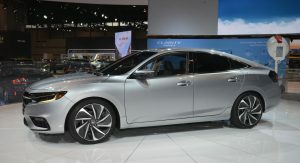 It is really good looking and done right.